Frank J. Drown (September 30, 1922–January 22, 2018), missionary who recovered the bodies of the Auca martyrs. Frank along with his wife Marie served with Gospel Missionary Union (now Avant Ministries) in the rainforest of Ecuador for 37 years. The Drowns pioneered mission work to the Jívaro Indians of eastern Ecuador, who were known for shrinking the heads of their victims. The Downs worked alongside missionary Roger Youderian and his family for three years in the early 1950s. In January 1955, Roger joined with four other missionaries in Operation Auca, an effort to reach the Huaorani, another Indian tribe in the area. When the five men turned up missing, Frank led the ground search party into Huaorani territory to locate the men. They discovered four of the bodies, and buried the men in a mass grave. Years later the Drowns co-authored a book about their pioneer mission work entitled Mission to the Headhunters. The Drowns retired to Smithville, MO, and in later years were involved in outreach to First Nation peoples in Canada. Bill Sunderland (1946–May 10, 2018), founding member of visionSynergy. Bill grow up in the Chicago area, and compiled a remarkable range of experience and, with that, a similarly great range of personal skills. 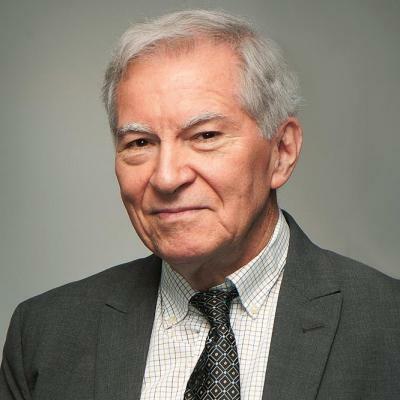 From the plastics industry, to ministry through a major sports ministry network, to housing projects in Papua New Guinea, to living in South Korea for several years, and, his invaluable contribution first to Interdev and then visionSynergy. 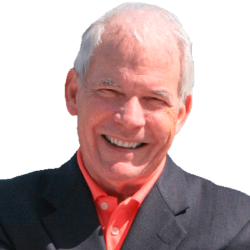 When visionSynergy was launched, Bill was working in the San Francisco area. Building a small team in the beginning, Bill was the first person hired due to his love for Christ, commitment to Kingdom collaboration, and remarkably diverse experience. He played a key role in visionSynergy’s development for over a decade. 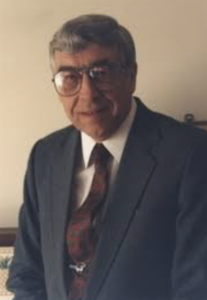 David J. Hesselgrave (January 3, 1924–May 21, 2018), premier missiologist and influential missiological writer. The driving force behind the evangelical study of missions in the 20th century, David Hesselgrave died at age 94 in Rockford, IL. Hesselgrave built the missions program at Trinity Evangelical Divinity School (TEDS) and cofounded the Evangelical Missiological Society, teaching generations of scholars and missions workers around the world more effective ways to share the gospel across cultures (as referenced in the titles of his popular textbooks: Planting Churches Cross-Culturally; Communicating Christ Cross-Culturally; Counseling Cross-Culturally). In 2012 Hesselgrave was awarded The Lifetime of Service Award by Missio Nexus at the North American Mission Leaders Conference. A seminary grad who belonged to the Evangelical Free Church of America (EFCA), Hesselgrave served as a missionary in Japan for 12 years following World War II, where he preached, taught, and conducted radio ministry in Japanese alongside Japanese leaders. He returned to teach at TEDS in 1965 until his retirement in 1991, spending 14 years as chairman of the missions and evangelization department. The Deerfield, Illinois, school now displays an oil painting of Hesselgrave, a gift from Missio Nexus. 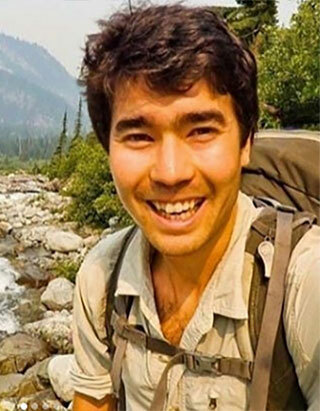 John Allen Chau (December 18, 1991–November 17, 2018), missionary martyr. Twenty-seven year old John Allen Chau of the mission agency All Nations, died at the hands of the Sentinelese peoples of the Andaman archipelago (India) in November. His martyrdom has become the center of a firestorm of debate both within and without the church. The secular press, as well as some Christian publications, have been critical of John’s missionary zeal. The Sentinelese tribe that John had a passion to reach is one of the most isolated, unengaged and unreached people groups (UUPG) in the world. John had prepared himself for years to reach them, and even admitted that he felt contacting them might bring about his death. As with the five Auca martyrs in the jungles of Ecuador in 1956, John’s death has acted as a catalyst for some to dedicate their lives to mission service. Don Richardson (June 23, 1935–December 23, 2018), author, speaker, and mission statesman. Don was a Canadian (born in Charlottetown, Prince Edward Island) missionary, teacher, author and international speaker who began his missionary career along with his wife Carol, pioneering work among tribal people of southern Papua, Indonesia. He argued in his writings that, hidden among tribal cultures, there are usually some practices or understandings, which he calls “redemptive analogies,” which can be used to illustrate the meaning of the Christian Gospel, contextualizing the biblical representation of the incarnation of Jesus. In 1962, under sponsorship of the former Regions Beyond Missionary Union (now World Team), Don and Carol embarked on a missionary career in Netherlands New Guinea (now Papua, Indonesia). They served for 15 years among the Sawi, a Stone-Age tribe of cannibal-headhunters who idealized treachery. From 1977 until his illness surfaced in March 2018, Don served as World Team’s minister-at-large. In this role he spoke at dozens of churches, conferences and other venues each year, in North America and worldwide. Don was a frequent instructor in the “Perspectives on the World Christian Movement” course and on various college and seminary campuses. He was an ordained pastor and held an honorary doctorate of literature from Biola University. Don is best known for his first book, Peace Child, which had a movie made of it. In 2018 Don received the Missio Nexus Life Time of Service Award. Paul McKaughn (September 14, 1938–December 31, 2018), missionary statesman and former president of Evangelical Fellowship of Mission Agencies. Growing up in Southern California, in 1963 Paul along with his wife Joanne sailed to Brazil where they served as missionaries for 14 years. In Brazil, Paul learned the local language and traveled the country to lead evangelistic outreaches. He collaborated with the Billy Graham Evangelistic Association, helped start a Bible school and plant numerous churches, and worked to teach and equip local Christian leaders. In 1974, Paul helped organize and send Brazilian Christian leaders to attend the first Lausanne Congress in Lausanne, Switzerland. The McKaughans joined the PCA in 1975. Recognizing his talents for organizational leadership and his passion for church planting, the PCA asked Paul to stay in the States and lead Mission to the World. 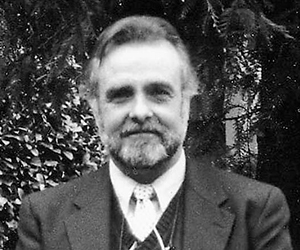 He accepted, and became MTW’s second coordinator, serving from 1977–1987. After a decade of faithful service, Paul left MTW to serve as the COO for the Lausanne Committee for World Evangelism, kicking off the next stage of his remarkable life. 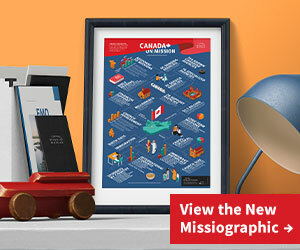 After the second Lausanne Conference was held in Manila in 1989, Paul was appointed president and CEO of the Evangelical Fellowship of Mission Agencies (EFMA; today Missio Nexus). He led EFMA for the next 15 years. At age 65, Paul stepped down as CEO to become EFMA’s ambassador-at-large. He and Joan purchased an RV and roamed the United States, meeting with missionaries and church leaders and encouraging the many individuals he had mentored over the years. In 2017, Paul received a Lifetime of Service Award from Missio Nexus.